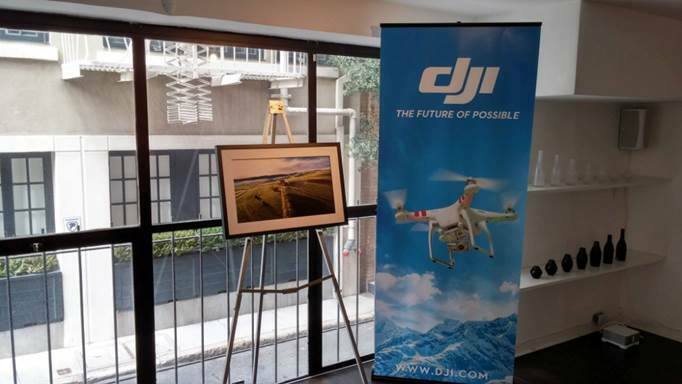 Epson today announced it has partnered with DJI, the market leader in easy-to-fly drones and aerial photography systems, to create photographic prints for the upcoming “Perspectives by SkyPixel” gallery. Leveraging the exhibition-quality prints of the Epson SureColor P600 13-inch and P800 17-inch printers and Epson Signature Worthy Exhibition Canvas Natural Gloss media, the upcoming gallery features photos and stories from the SkyPixel community, a platform dedicated to the art of aerial photography. The exhibit will run from July 11-19 from 10 a.m. to 8 p.m. at the La Boutique, l’Art et la Mode in San Francisco, Calif. The prints will be auctioned off at the completion of the gallery, with proceeds to benefit Make-A-Wish Greater Bay Area. The “Perspectives by SkyPixel” exhibit is touring art galleries in leading cities in the United States, Europe and Asia. The galleries will consist of aerial photos and stories submitted by its community of users – offering the world a glimpse into the photographer’s vision and how it was captured. Select aerial photos and stories will be displayed at galleries during the tour, and will then be auctioned off to benefit local charities.